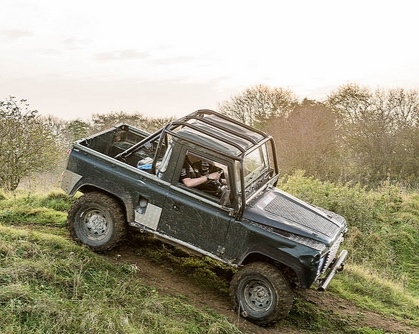 On Weds 23rd Jan Aston and MM beneficiary Mike Burton spent the day at the off-road area in Dalton Barracks gaining their LANTRA Instructor qualification with Sarah Batten who is the Training Manager at Jaguar Land Rover Experience. With two more instructors at our disposal means we can increase our training output and get more beneficiaries trained and on their paths to recovery. If you are a beneficiary and interested in getting your Professional 4x4 User qualification please do get in touch.